The group will conduct and fund research that covers the humanities and social sciences and run public discussion events, DeepMind announced earlier this week. 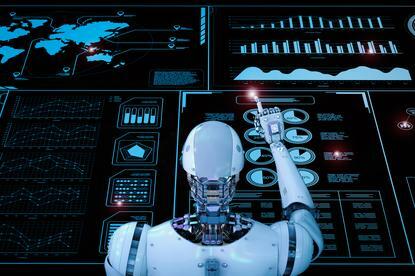 The unit has already released five ‘core principals’ to guide future AI research: that technologies be developed in ways that serve the global social and environmental good; that research be ‘rigorous and evidence-based’ as well as ‘transparent and open’ (including with funding arrangements); that work includes a diversity of voices; and that public opinion will feature in all developments. The group has already set out what it considers the key ethical challenges around artificial intelligence. Morality and values; governance and accountability; and privacy and fairness are among them. The announcement will go some way to repair the damage to DeepMind’s public image after the UK’s information commissioner ruled a trial it ran using NHS data ran afoul of the country’s privacy laws. DeepMind was acquired by Google in 2014, and is now part of the Alphabet group. As part of the acquisition – according to sources speaking to The Information – Google agreed to establish an ethics committee. In the years since – according to Guardian reports – DeepMind has “consistently refused to say who is on the board, what it discusses, or publicly confirm whether or not it has even officially met”. In July, rival Microsoft established a company-wide AI advisory panel called AI and Ethics in Engineering and Research, or Aether. DeepMind and Microsoft were among the founding members of the Partnership on Artificial Intelligence to Benefit People and Society, a non-profit organization charged with exploring and developing best practices in AI research, along with Amazon, Apple, Facebook and IBM. The group is growing, in May announcing the membership of for-profit partners eBay, Intel, McKinsey & Company, Salesforce, SAP and Sony along with a number of non-profit interest groups. The partnership is currently “in the process of identifying” an executive director.